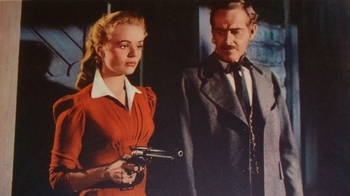 A Man Alone is a Film programme that first aired in 1955 and has been classified a U certificate. In his directorial debut, Ray Milland stars as Wes Steele, a gunfighter on the run for his life for crimes he didn't commit. Escaping a lynch mob, he stumbles onto a small Arizona town where the local sheriff Gill Corrigan and his daughter Nadine are quarantined for yellow fever.